Hard Questions, Tough Answers (January 28, 2018) - Is Everything Connected? Yossi Alpher is an independent security analyst. He is the former director of the Jaffee Center for Strategic Studies at Tel Aviv University, a former senior official with the Mossad, and a former IDF intelligence officer. Views and positions expressed here are those of the writer, and do not necessarily represent APN's views and policy positions. Q. As Knesset elections approach, will “Unite4Israel” connect all the centrist generals-turned-politicians? A. Unite4Israel is the billboard project of a group of Israeli businesspeople and retired generals who oppose PM Netanyahu and believe that only a broad-based and united centrist party can defeat Likud in April’s elections. Their billboard features a composite photo of four retired IDF chiefs of staff--Ehud Barak, Benny Gantz, Gabi Ashkenazi and Moshe Yaalon--side by side with veteran politicians Yair Lapid of Yesh Atid, Avi Gabbay of Labor and Tzipi Livni of HaTnua. Unite4Israel brandishes a poll claiming that 79 percent of the followers of the seven candidates support them uniting in a single list. All but Barak and Ashkenazi are already running at the head of political parties, old and new. Barak and Ashkenazi have indicated a willingness to be drafted. The logic behind the campaign seems to make sense. Separately, each of the five centrist parties will be hard put to win enough mandates to register a mandate toll of double figures. 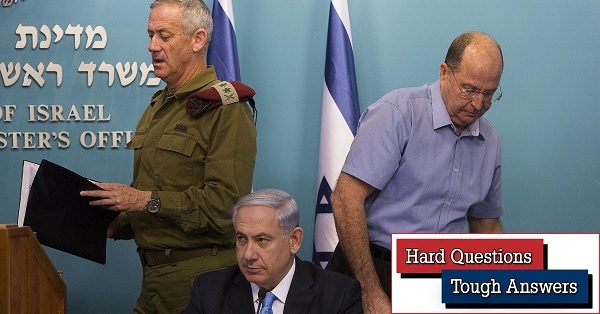 The polls currently indicate that HaTnua and Yaalon’s Telem party will score below the four-mandate threshold and disappear, their votes wasted. An eighth aspiring new centrist party, Gesher led by Orly Levy Abakasis, which focuses on socio-economic issues and is also a candidate for a united centrist front, is hovering just above the threshold. The billboards and the poll offer a graphic illustration of the sentiment of many on the Israeli political scene that the party leaders of the center, both generals and veteran politicians, must swallow their egos and create a joint Knesset list to compete with Netanyahu and hope to form the next government. 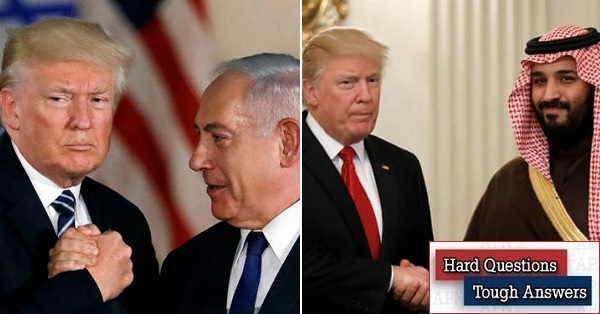 By the by, the phenomenon of the generals also signals that a considerable portion of the public is fed up with traditional Israeli politics and--in anticipation of at least one Netanyahu indictment in the weeks ahead--with corruption in particular. So far, nothing has happened. There is lots of talk about mergers at the center, but no action as yet. Here Gantz is a key figure, for two reasons. First, if we believe the polls, he could be the one centrist remotely capable of challenging Netanyahu (Likud currently polls at over 30 mandates, a clear plurality in the 120-member Knesset; a nascent Gantz-led party without a platform or candidate list registers around 15 mandates). On the other hand, Gantz has reached this status basically by cleverly maintaining silence about his political views. At one point about ten days ago he responded to right-wing attacks on his performance in leading the IDF against Hamas in the summer 2014 war (Operation Protective Edge) by bragging about the 1,364 terrorists killed then. That seemingly painted Gantz as a hawk. But for balance, he has also criticized the ultranationalist Nation State Law and stated “there’s no shame in striving for peace”. He may be planning to break his policy silence this week, though a lot of ambiguity and double-talk is anticipated. At the time of writing, Gantz and Yaalon were reported to be close to agreement on a unified list. This may indicate that the hawkish Yaalon feels he has no alternative but to accept a more centrist agenda on the Palestinian issue in order to survive politically. Alternatively, it may reflect an assessment by Gantz that he needs to move a little to the ultra-nationalist right to compete with Netanyahu. Will any or all of these centrist candidates opt for unity? Will they acquiesce in being not number 1 but merely number 2, 3, 4 or 5 on a united Knesset list? Will Gantz lead that list? Lapid? Will readiness by Barak (whose political career appeared to be washed up several years ago) or by the totally untested Ashkenazi to throw their hats in the ring only if they are part of a truly united list have a sobering effect on the others? As of now, two things appear to be fairly clear. First, Unite4Israel are right that only a unified and very broad center can challenge Netanyahu. Second, and in sad contrast, there is not enough ideological, political and “ego” unity in the vaguely defined anti-Netanyahu liberal camp to pull this off. The primary actors are not, or at least not yet, connected enough. Q. One of the prime potential disruptive factors during this election period could be Gaza’s current low-level violence exploding into rocket and missile attacks on Israeli cities. Are there multiple interconnected elements at work here too? A. When it comes to Gaza and Hamas violence these days, the degree of interconnectivity is mindboggling. True, a single violent incident is still capable of starting an Israel-Hamas mini-war. But behind the scenes, a global inter-active dynamic is now at work. For starters, take the following external factors that contribute to the current tensions. One is Israel’s elections. On the one hand, PM (and Defense Minister) Netanyahu wants a quiet Gaza border until April 9, lest renewed violence, Israeli casualties and reserve call-ups send a negative electoral message to the Israeli public that Netanyahu cannot maintain security. But on the other hand, the Likud’s Minister of Public Security Gilad Erdan, who wants to score high in Likud primaries and guarantee himself a more senior ministry in the next coalition, is trying to impress his electoral base by getting tough on Palestinian terrorist prisoners in Israeli jails. So Erdan has directed the Prison Service to collect illegally smuggled cell phones from prisoners and generally toughen conditions of incarceration. This in turn has engendered prisoner resistance, some of it violent, led by Islamic Jihad prisoners. Back in Gaza, this has obliged the Hamas and Islamic Jihad leaderships to demonstrate solidarity--meaning throw more stones and fire more rockets and mortars at Israel. There are additional external factors that feed into Gaza violence. The (non-Islamist) PLO leadership in the West Bank has toughened its stance toward Gaza and Hamas but also toward the US. The PA is withholding salaries and other funds for Gaza, thereby worsening economic conditions there. And, responding to punitive US congressional legislation, it just announced that it will no longer accept American funds for its security operations. One background factor is the power struggle over succession to ailing PLO/Palestinian Authority leader Mahmoud Abbas (Abu Mazen). None of this is good for Gaza-Israel calm or even West Bank-Israel calm. The US legislation in particular is ill-advised even from Israel’s standpoint. Then there is Qatar’s unique contribution to the Gaza economy of $15 million a month in cash dollars. Qatar’s philanthropic motive is support for the Muslim Brotherhood, of which Hamas is an offshoot. Its political motive is to go one-up on Saudi Arabia, its regional rival, and indirectly to back the Saudis’ enemy, Iran, which supports Hamas and particularly Islamic Jihad. Israel is prepared to let the money go through one of its border crossings into Gaza on condition that this reduces Gazan border provocations, particularly the by-now traditional Friday mass demonstrations at the fence. All this is part of a delicate set of unwritten understandings that involve Egypt as well. But so delicate are the understandings that, periodically, Hamas appears obliged to allow some gratuitous violence against Israel in order to show that it cannot be bought off cheaply. And Israel, meaning Netanyahu, has to get tough with Hamas to show that it is unhappy with Hamas’s very partial compliance with the “peace and quiet” it has promised. So the bottom line is that, concerning Gaza and the rest of the world, everything is connected. There can be no single explanation for the current low-level violence or for the almost inevitable flare-up and escalation yet to come. Q. You’ve dealt with regional and global connectivity in Israeli electoral politics and concerning Hamas in Gaza. Where else? A. Energy and the environment offer two additional fascinating cases. Will connecting the Red and Dead seas salvage Israeli-Jordanian relations? Will an undersea pipeline carrying Israeli Mediterranean gas to Greece cement Israeli-Hellenic relations? These are two very ambitious projects that were initiated years ago by Israel. A lot of relevant actors are skeptical that either one can succeed at the technical or the financial level. But now both are moving forward for important political reasons. The Red-Dead project involves a canal and pipeline connecting the Red Sea from a terminal near Aqaba in Jordan to the southern end of the Dead Sea. The idea is to refill the Dead Sea with Red Sea water. The water level of the Dead Sea is dropping by a meter a year (!) due to environmental factors as well as Israeli and Jordanian over-exploitation of Jordan River waters that used to flow into it. The Dead Sea is the lowest point on earth, so Red Sea water will arrive mainly by gravity. On the way, the flow will be used to create electricity and for desalination. All parties that border on the Dead Sea--Israel, Jordan and the Palestinian Authority--are supposed to benefit. In reality, the Red-Dead project will cost far more than a more modest Israeli desalination project to provide large quantities of Mediterranean or Sea of Galilee water to Jordan and the PA. There are also real fears that the sea-water flow into the mineral-rich Dead Sea could create a layer of gypsum that would clog both the Israeli and the Jordanian mineral mining projects there, both of which are profitable. Yet the two sides, along with international financial institutions, continue periodically to sign off on letters of interest and intent and to sponsor related research projects. Israel’s political interest is clear: Red-Dead potentially links Israel and Jordan in a huge binational project with global participation that effectively renders the two countries (and possibly the PA as well) mutually interdependent--whatever the cost in financial overruns and actual damage to the Dead Sea. Given the dismal current state of Jordanian-Israeli relations--involving the Palestinian and particularly Jerusalem issues as well as land disputes and Islamist pressures in Jordan--and the constant need for solid strategic links between them, this is important. Q. And the Mediterranean gas pipeline bringing Israeli gas from Cyprus to Greece? A. Here too, technically and financially this is a doubtful venture. This would be the longest and deepest undersea gas pipeline in the world. Feasibility studies have yet to prove that it is possible. Moreover, for it to be profitable the pipeline would have to carry not only known Israeli and Cypriot gas reserves but Egyptian gas as well. And all three would have to discover additional reserves. All these are reasonable yet uncertain possibilities. But suppose Turkey moderates its provocative Islamist policies and mends fences with Israel and Cyprus. If that happens, the entire pipeline becomes extravagant and unnecessary because a sea-bed pipeline linking Israel, Cyprus and Turkey (which has well-developed gas links with Europe) is far cheaper and more feasible. None of this has stopped Israel from signing a variety of preliminary agreements with Cyprus and Greece. Here, as with Jordan, strategic considerations are crucial. Along with plans for energy cooperation, Israel and the two Hellenic states are holding joint military maneuvers. Israeli military prowess is attractive to Greece and Cyprus because they fear Turkey’s Islamist designs and the overflow from the Syria-Iran-Hezbollah-Russia victory just north of Israel. Greek and Cypriot friendship is important to Israel because the two eastern Mediterranean members of the European Union (and Greece’s NATO membership) ensure that Europe will not take any strong punitive steps in the Palestinian context against the Netanyahu government and its settlement policies. The pipeline to Greece is as doubtful as the Med-Dead project. And as problematic. For Israel, the short-term strategic benefits are obvious. Whether in the long term these projects will pay off, be swept under the carpet, or backfire grievously remains to be seen. Meanwhile, Israel can boast of regional and international energy and environmental connectivity.